I posted this on the evening of the 7th February, 2018 to; "The Lifeboat News" message board, quote; ".. I've rarely seen such an act of wanton vandalism...the heath-land simply must have been a nature reserve, Site of Special Scientific Interest or Area of Outstanding Natural Beauty or a combination of such (italicised edit Arafel. Ed. ), ..but it seems no, went for a walk this evening and the whole lot has gone...a large acreage it was too..greenfield site....I kid you not they put the notification of change of public footpath route in the middle of the area (no real path), not quite fully iron-fenced-off (you know that temporary stuff that looks so naff? ), ...so you have to skirt around half a meter or so on a gradient between it and the woodland..keeping your eyes pointing skyward nearly all the time..literally on a slope where once there was an overland route. Quote: "They fear the cumulative impact of this on Swaythling Road and Botley Road, the main road between West End and Hedge End. 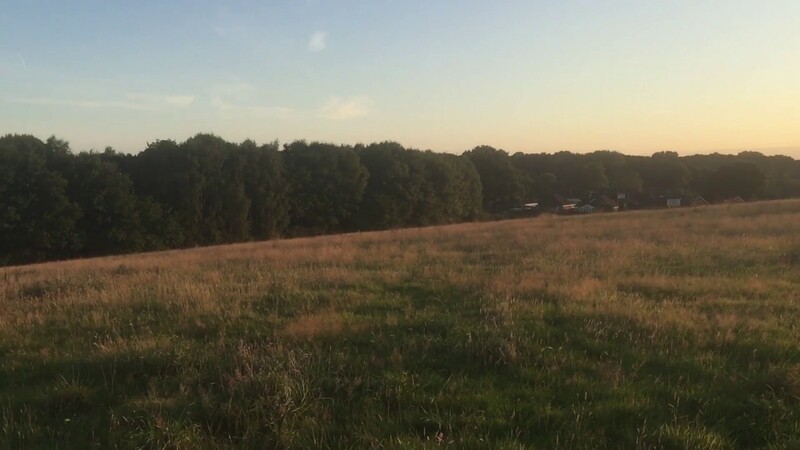 Ben Blowers, chairman of the 40-strong Hatch Farm Preservation Association, said this was a loss of open space in an increasingly urbanised area. He also highlighted fears about water running off this site in previous years causing problems and that this will get worse if it is built on. Nearby resident Sabrina Touzel said the development would have a “seriously detrimental impact on West End and the privacy of many existing residents” and that the resulting traffic would be “horrendous”. 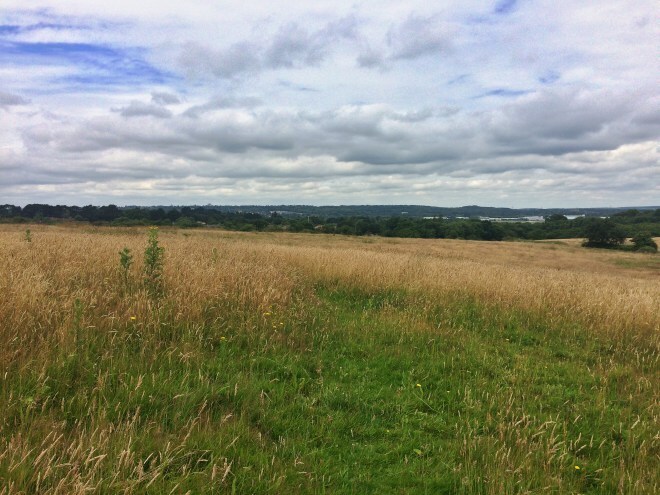 She added: “We will lose an important open space that many local people and families enjoy and which supports a range of wildlife. Residents also expressed concern that the site was owned by Eastleigh Borough Council and yet it was the planning authority deciding the outcome. Tim Willcocks, assistant director of land and new homes at developer Radian Homes said it had worked with the council on its plans and consulted the public extensively and the design had evolved, “where possible” in response to people’s views. “The development at Hatch Farm will provide much needed new housing, including affordable housing for local people and public open space, and we look forward to continuing to work with the local community,” he added. The council did not respond to a request for comment. *When 91 Year old Richard St Barbe Baker made his way to Adelaide in 1981, he was renowned around the world as an inspiring visionary devoted to improving the planet. An advocate of the ‘think globally, act locally’ philosophy decades before it became a well known catch cry, he was founder of the international Men of the Trees (MoTT) movement, and planter of countless trees. St Barbe travelled the globe spreading his vision of a world where peace and the conservation of the environment were paramount. Probably his largest single challenge was the concept of gradually reclaiming the Sahara Desert through the strategic planting of trees. This idea took shape after a 25,000-mile expedition around the desert (through 24 countries), which he undertook with a team in 1952-3. Ultimately, there were MoTT chapters in over 100 countries including ours here in South Australia. Men of the Trees organisations still exist in WA, NSW and Queensland. Sorry to hear Gerard, sounds horrible. Criminal really for heath-land to be destroyed like that, especially given its scarcity, declined to 1/6 of its total UK area in 1800 - http://jncc.defra.gov.uk/page-1432 Also immeasurably important to have an open, natural space like that in an urban setting. Its loss will compound the poverty of the children growing up in the area and lower everybody's quality of life. Vandalism like you say. Also see; "#LeithHill #SaveStonehenge #TwyfordDown #HatchFarm #SouthwarkWoods" go to: https://twitter.com/i/moments/877626054579499008 Twitter "moment".